The devcom Master Classes are scheduled from Tuesday, August 22, to Thursday, August 24. You want to know about business strategies or investor pitching? Or maybe about gaming-music’s way into the players mind? There’s a lot of knowledge to discover at the devcom Master Classes! My main goal for this class is to sharpen the awareness of especially studio leads, directors and senior managers on the importance of having a clear strategy for your team – no matter if you run a small indie studio or if you are in charge for a mid- to large-sized multi-project company. This Master Class will include a wide variety of best practices and learnings, starting from handling studio growth, fostering company culture or thinking about exit strategies – but also dealing with publishers, investors and other partners in all sorts of situations or growing your business network. Never forget: Coming to the realisation that your organisation needs one is easy – but actually creating a strategy is a little harder. Best practices and learnings, starting from handling studio growth, fostering company culture or thinking about exit strategies – but also dealing with publishers, investors and partners in all sorts of situations and growing your business network. Though insisting on the fact that he’s still 29, Ralf has spent more than two decades in the games industry. 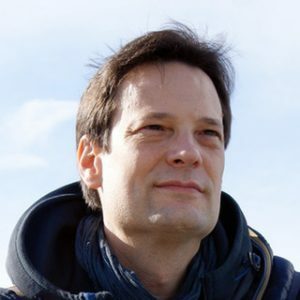 Ralf got his start in the early Nineties, and since then he has worked for a multitude of publishers and developers in different positions, among them Infogrames/Atari, Sunflowers Entertainment, JoWooD Productions, Gameforge, Travian and flaregames. His portfolio also includes freelance work for Disney Interactive, Ubisoft, Eidos or Vivendi Universal. 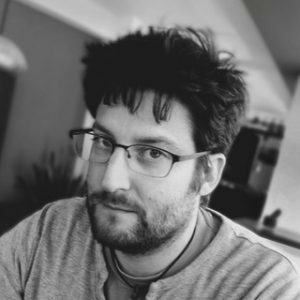 With expertise in producing as well as in game design and writing, Ralf has contributed to a wide variety of titles, including “Desperados – Wanted Dead or Alive”, “Spell Force – The order of Dawn”, “Settlers” & “Anno” Series, “Ikariam”, “Guild 1400” or “Dawn of Steel”. In the past Ralf has also contributed to the production of two full-feature animation movies (both released in theatres in 2014) in his role as Managing Director for Virgin Lands, one of the leading Graphics & Animation Studios in Europe. In 1993 Ralf C. Adam – a crack computer & video gamer – was sent to the games industry for the crime of not having studied a serious profession. After a couple of years of fighting for publisher organisations he finally escaped from a maximum-security tradeshow booth to the German underground somewhere in the Frankfurt area. Today, still wanted by many entertainment companies, he survives as a soldier of fortune. So, if you have a problem, if no one else can help, and if you can find him – maybe you can hire the Tiger Team. Sometimes you have a strong vision to guide you. Sometimes you start with a simple mechanic, perhaps discovered by playing around at a game jam. Which is more important? What do you do when the vision and your mechanics start to drift apart, or you struggle to bring the game in your head to life? This workshop will address these questions by showing the steps Andreas and his team took on The Long Journey Home, and the lessons learned as a result. We will also collectively experiment with new ideas by focusing on ideas for games that ONLY focus on player skills that we want to challenge. This is a hands-on and intermediate level workshop for Game and Level Designers, but producers, artists and programmers are equally welcome. Beginners and non-specialists will be able to follow, and we welcome experts to contribute their knowledge and past experience from other projects. Learn methods to retain a strong, emotional vision throughout development, as well as kickstart development without that up-front vision. Andreas started his career more than 13 years ago at Blue Byte and worked there in different positions. As Tester, Data Wizard and Level Designer he had the chance to work on products like Battle Isle and Settlers 4. Settlers 5 and Settlers 6 he attended as Lead Game Designer. As Creative Director he worked on ANNO for Wii and DS and on My Fitness Coach for the PS3 with Move Controls. Besides the larger projects he had the chance to spend time in research, development methods and smaller games like ANNO for the iPhone. With Klaas Kersting, Matthias Schindler and Georg Broxtermann he co-founded flaregames in the role of the Creative Director. The Start-Up is developing and publishing successful mobile f2p games on all relevant mobile platforms. In 2013 Andreas begin to work as a freelancer in the area of Consulting, Game- and Level Design and Creative Direction.Games he was working on did win awards like the Red Dot Design Award, the TOMMI and several German Game Developer Awards. In 2014 he founded Daedalic Studio West GmbH with Dirk Steenpaß. They are building a new studio and currently focusing on their first title. 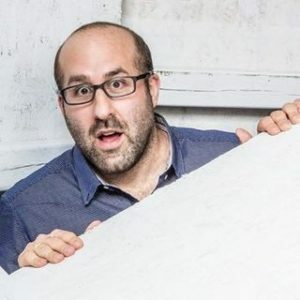 Jason Della Rocca is the co-founder of Executions Labs, a first-of-its kind, hybrid game incubator and go-to-market accelerator that helps independent game developers produce games and bring them to market. Formerly, Jason was a game industry consultant focused on business and cluster development, working with game studios and organizations all over the world. Prior, he served as the executive director of the International Game Developers Association (IGDA) for nearly nine years, and was honored for his industry building efforts with the inaugural Ambassador Award at the Game Developers Conference. In 2009, Jason was named to Game Developer Magazine’s “Power 50,” a list which profiles 50 of the most important contributors to the state of the game industry. As a sought after expert on the game industry, Jason has lectured at conferences and universities worldwide. He also serves on various advisory boards and volunteer roles, such as co-chairing IGDA-Montreal, as an advisor to the ICT Practice of Foreign Affairs, Trade and Development Canada, and serving on the research management committee of the GRAND Network Center of Excellence. Many teams set out to build a great Indie game… and then discover that going Indie also means you have to build a business. From production methods to people management to legal regulations, the process of company-building presents us with unique challenges. 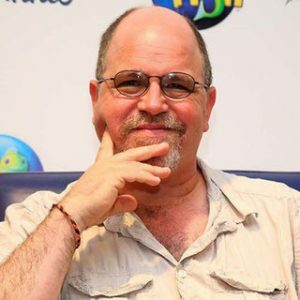 In this extended Devcom Master Class, veteran game developer Don Daglow will provide team leaders with a foundation for managing their teams and their businesses. The session will be personal and interactive, with discussion of specific problems affecting the managers in the room. 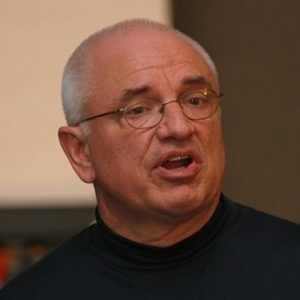 Don Daglow is a three-time Inc. 500™ CEO, a pioneering game designer and 2008 Technical Emmy® Award recipient whose career spans the history of Silicon Valley. Teams have shipped over $1 billion in games under his leadership. He now advises companies ranging from small startups to large international publishers. Don also serves as Senior Director of Strategic Partnerships at The Strong National Museum of Play; as a Mentor at the Founders Space accelerator in San Francisco (rated in the Top Ten by Inc. Magazine); as a member of the Devcom Advisory Board; and as the volunteer President of The Academy of Interactive Arts & Sciences Foundation. He is also an accomplished writer, with a playwriting award from The National Endowment for the Humanities and multiple book awards for his literary mystery novel, The Fog Seller. Licensed intellectual properties have become more popular than ever before with today’s rising cost of user acquisition. This class will feature best practices, actionable guides, and guest speakers who will share their successes and shortcomings when dealing with popular IP. We will cover a variety of topics such as assessing the value of an IP, building a great “pitch kit” to win IP owners over, contract terms and deal points, and successfully managing the relationship post contract through launch. Attendees should come prepared to ask questions as we will be able to work through specific scenarios during the class. All prepared materials (such as whitepapers and guides) for the class will be provided to attendees after the class. Attendees will leave with an in-depth understanding of how to find and acquire IP for their game, what contract terms are essential, and how to manage the on-going relationship with the partner. 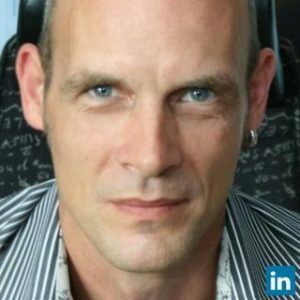 Louis René Auclair, Vice President and Chief Marketing Officer at Hibernum is responsible for marketing and business development. He oversees all developers and publishers relations and plays a major role in the creative design and the Acquisition, Retention, Monetization, and Engagement strategies for all of the studio’s projects. 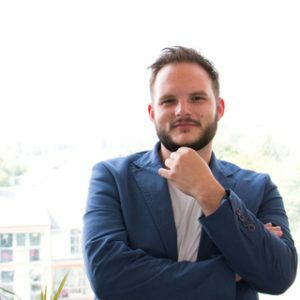 A marketing graduate, Louis-René has over 15 years of experience in brand management, product marketing and video game production. His creativity and logical thinking has brought him to manage some of the top brands of the industries he’s been part of. A Hibernum partner for the past 5 years, Louis-René’s passion for great games is reflected in his drive to create the most fun and engaging experiences for players as well as in the creation of original entertainment brands. Hibernum is a game development studio based in Montreal, Canada. Our games are played around the world. With more than 120 experts in game development and design, art and media production, publishing, brand creation, marketing, and R&D, we have the knowledge and the experience to deliver best-in-class gaming experiences. Jay is the Founder and CEO of The Powell Group, a consulting firm specializing in business development and licensing for the game industry. Over the past 20 years, Jay has negotiated and closed countless deals for licensing, development and distribution. With experience as an agent, a developer, and a publisher he has published, self-published, and been involved in numerous licensing deals and projects spanning a multitude of platforms. Over the years he has been involved in games featuring Disney, NASCAR, Nickelodeon, National Geographic, Cartoon Network, and many more. One of the main reasons that game projects fail is a lack of clarity around the game’s creative goals. In this master class, veteran designer and studio leader Dave Rohrl will walk participants through a series of exercises intended to help clarify and structure a game’s goals. These goals statements can then be used to align and motivate teammates, structure and prioritize design and development, onboard executives, and help marketing express the essence of the game. This is a workshop-style class where a high degree of participation is expected. Attendees should come prepared to do in-class exercises, present their work, and give feedback to others. Expect to leave the class with a clearer creative vision and a stronger pitch than you arrived with. Participants will walk through a series of practical exercises designed to clarify creative goals for game projects. They will apply these tools to a current project, and will walk away with a clearer vision of their current game and a set of tools to apply to future projects. 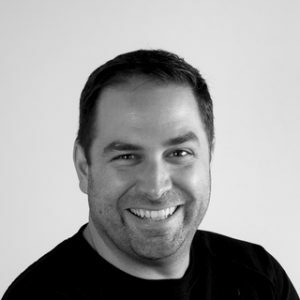 Dave Rohrl is a game industry veteran, with 23 years of experience in game design, production, and studio leadership, holding senior positions at Pogo, PopCap, Zynga, Playdom, and others. He has designed more than 50 published games, and consulted on dozens more. For the last four years he has run Mobile Game Doctor – a boutique game design consulting firm that helps free-to-play mobile developers worldwide improve their games, processes, and design skills. He lives in the San Francisco Bay Area with his two daughters and 600 board games. How and why do music, sound and voices affect the players’ minds so immediate? How does the brain deal with audiovisual information and what consequences does that have for the developer? How can music and sound influence the gaming experience and give new ideas to game designers? What are the functions of music beyond “creating a mood” and why should game makes consider audio aspects already in the early phase of the development process. How can a proper audio planning avoid costs and make audio a powerful tool in the hands of developers? Jörg Mackensen (MD toneworx studios), Kai Rosenkranz (composer, Gothic 3, The Long Journey Home) and Helge Borgarts (composer, Bring Them Home, Moorhuhn Tiger & Chicken) talk about different aspects of music and audio in video games by presenting different showcases and ideas. 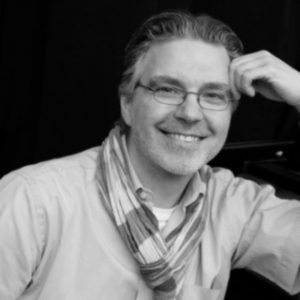 Helge Borgarts is a freelancing German composer and producer. Working in the games industry for more than 15 years, he was involved in more than 40 projects as a composer and/or producer. He wrote music for renowned game developers like Deck13, Crytek or Stratotainment as well as for independent film and television projects. The game “Tiger & Chicken”, that he produced and contributed music to, was awarded as Best Mobile Core Game at the German Developer Awards. He recently composed and published the score for the game “Bring Them Home”. 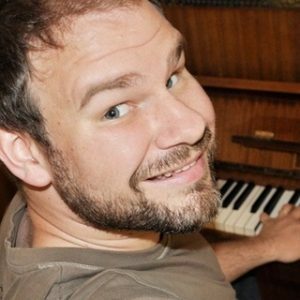 Helge is the program manager for games music at the renowned festival and conference for music in film and media Soundtrack_Cologne and a regular speaker and lecturer at events and universities. Emotion in games – to be achieved with great audio: voices, SFX / foley, Music – and certainly how to get it. Kai is a game composer and sound designer. He created everything audio for Gothic 1-3, Risen 1, and The Long Journey Home. 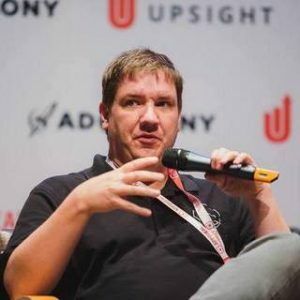 In his 20 years in the games industry he co-founded the tools and middleware company Nevigo (makers of articy:draft) as well as the European Game Composers. Deep dive into topic of cheating in modern multiplayer titles and how to tackle the future with lessons learned. We will discuss both technology and security managment for most common incidents. We will look into most common mistakes and methods used in both exploiting and solving the issues presented. As well as investigate and analyze different games on the market that had the unfortunate run into cheating market. A 30-year-old Slovak National now living in Czech Republic, Eugen Harton works at Bohemia Interactive. Joined the team of DayZ Standalone developers couple months into the early access release as an engineer and moved into production. Keeping up with the pace and demands of the project. Aiming to solve hot topics of early access, modding, cheating, and much more.